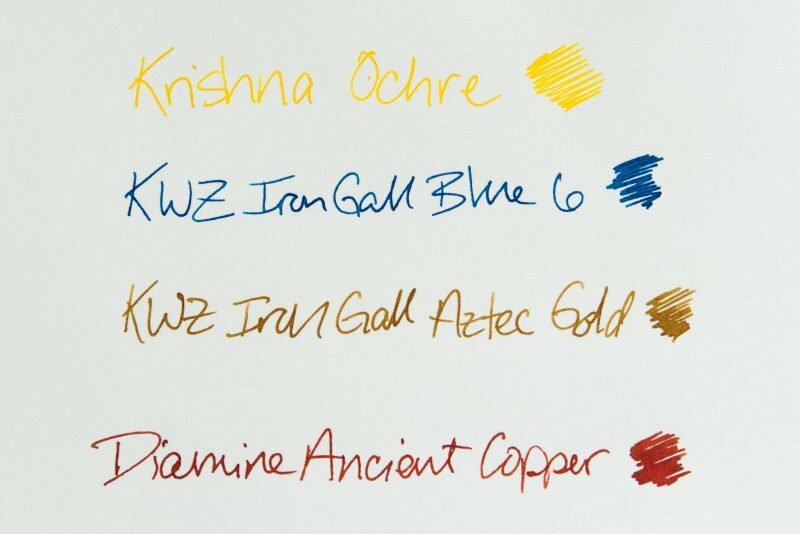 Can Different Papers Change The Way An Ink Looks? The other day I was testing out some different papers and was surprised to find that the ink looked significantly different on one type of paper versus another. This was not something that I had ever experienced before, and it made me wonder, can different papers really change the way an ink looks? I had experienced inks looking less saturated on different types of paper, but never an ink that looked completely different. 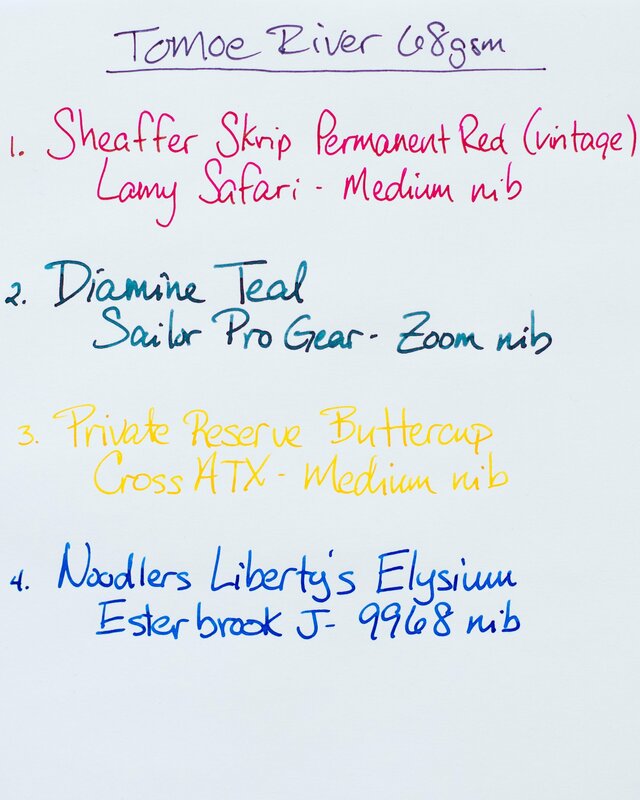 I decided this was a topic worth exploring more, so here are a few ways that a fountain pen ink can look different depending on what type of paper is used. Some papers can slightly or significantly enhance how saturated an ink looks. While an ink might look just fine on most papers, there will likely be a few types of paper that give it just a bit more pop. Whether that means more saturation, shading or sheen, paper can definitely affect how intense your ink looks. Take a look at these examples. The same pens and inks were used in both images, only different papers were used. For the first image I used a pad of Midori writing paper. The writing looks exactly how you’d expect and there’s absolutely nothing wrong with it. But look at the next image, in which I used Tomoe River paper. All of the writing looks more bold and saturated. The color is more intense and it almost looks like I used a broader nib! Midori Writing Paper – The ink looks perfectly normal on this paper. 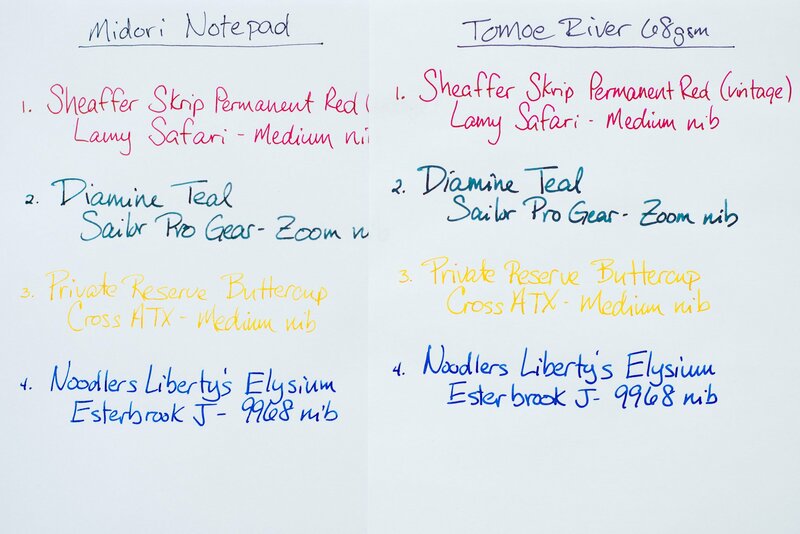 Tomoe River 68gsm – All of the inks have a more bold and saturated look. Here you can compare the two side by side. 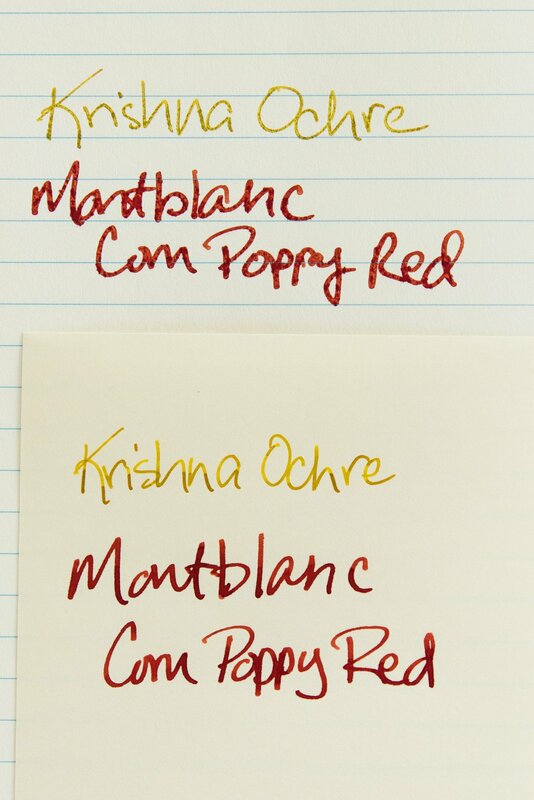 While some papers may make an ink look more saturated, others can actually make an ink look less saturated. Typically, these are cheap or low-quality papers. The reason this happens is because the ink soaks into the paper so quickly, it disperses into the fibers and doesn’t appear as dense as it does on papers where it absorbs more slowly. This gives the ink a dull or washed out look that is definitely not desirable. The lined paper makes the ink look washed out and gross, while the other paper makes the ink look great. This was the most surprising example for me and the one that got me started wondering about how paper affects the way an ink looks. 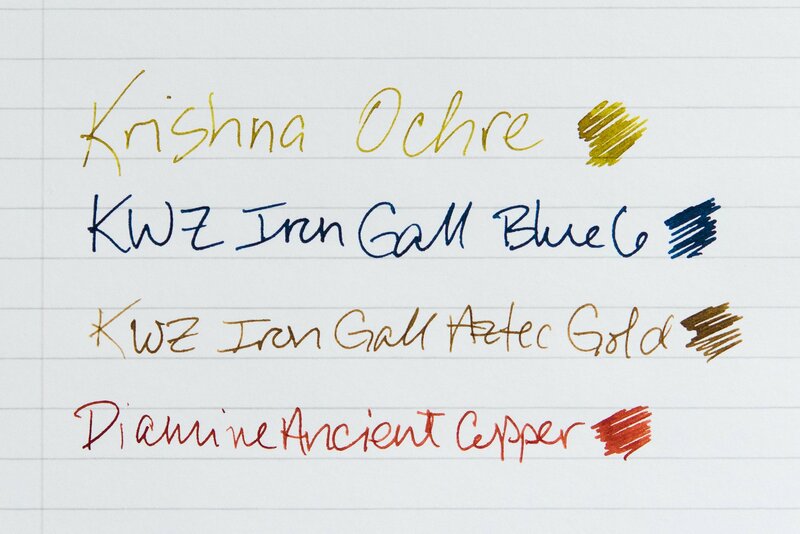 I was writing with Krishna Ochre ink on a few different types of paper. It was looking the same until I got to the Life Bank Paper. Suddenly, instead of appearing a dark green/brown, the ink looked bright yellow! Thinking maybe something was wrong with the paper, I tried a few different inks and they all behaved normally. So what was going on here? The main difference between Krishna Ochre and the other inks was that it is intended to behave like an iron gall ink. So, I grabbed some different iron gall ink and tested it out. While I couldn’t recreate the same color-changing effect with other inks, I’d be surprised if this was the only combination of ink and paper that did this. While it might not be the most common thing you’ll encounter, it’s definitely something to keep in mind if a particular ink doesn’t look the way you think it should. Rhodia Notepad – Here the Krishna Ochre looks greenish brown. Life Writing Paper – The Krishna Ochre looks kind of yellow here. 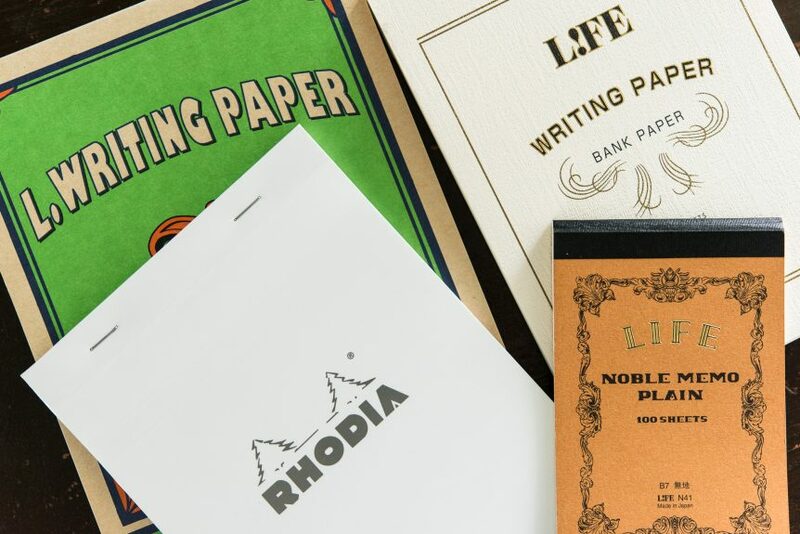 Life Noble Paper – The Krishna Ochre looks a little more yellow here. 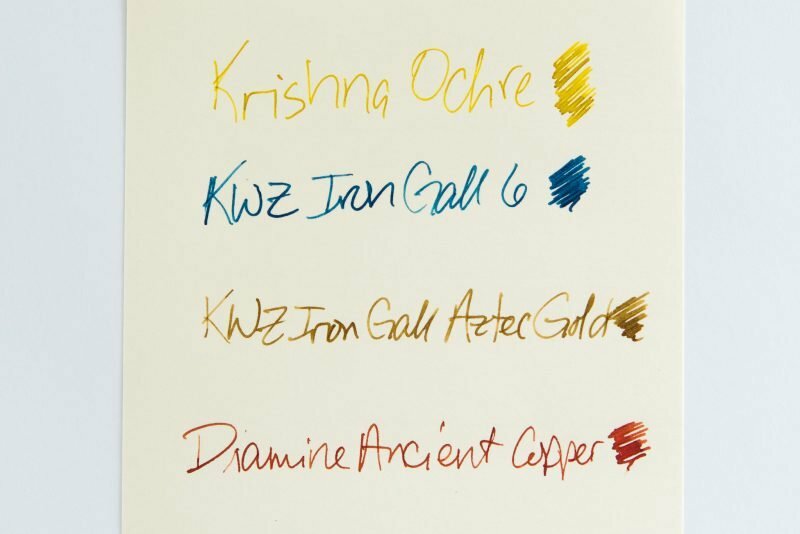 Life Bank Paper – Notice that the Krishna Ochre looks completely yellow! While most people probably think that an ink is always going to look the same, that’s not necessarily the case. 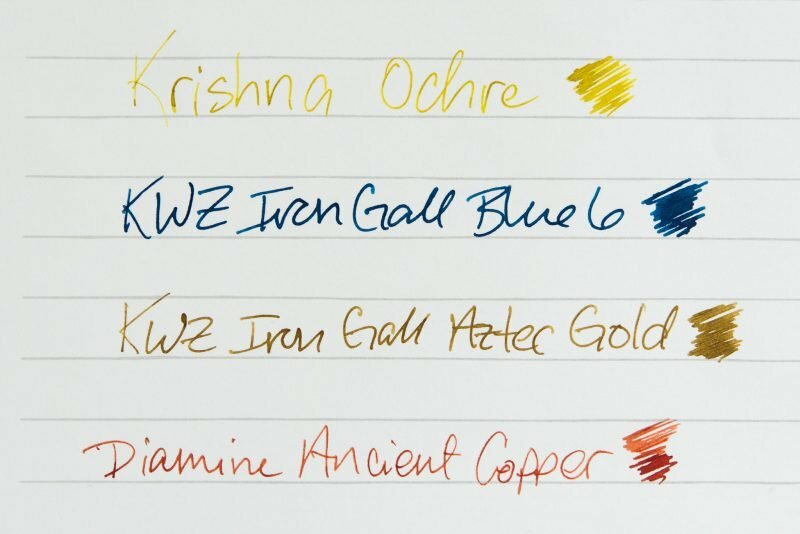 The way an ink looks can change depending on which pen you use. After reading this article, you also know that paper can affect how an ink looks. While the majority of a time paper will simply accentuate the existing properties of an ink and make it look a little more or less saturated, there are times when it will completely change the way it looks! 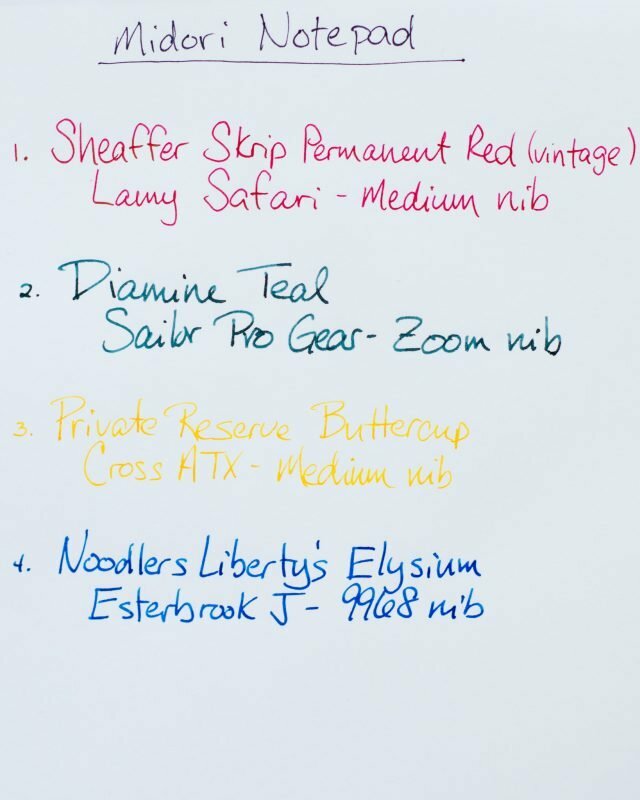 So be sure to play with your inks, try out different papers and see which combinations you enjoy using the most. That is pretty neat to where you can see the difference in the color from the different papers, even if it is a slight change. Now going off of that, would it make sense to do one with different types of printer ink? I’m not entirely sure if it would make a difference but it wouldn’t hurt to try. Perhaps it would look something like the second picture you posted where all of the colors are quite bold. That’s an interesting thought, Caden. I don’t have a color printer, but would love to hear the results if someone else tries it.